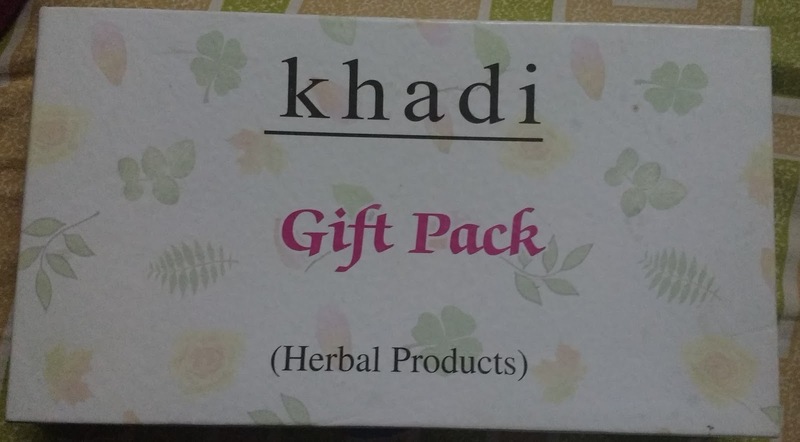 I got this beautiful gift pack from a friend during Diwali festival. 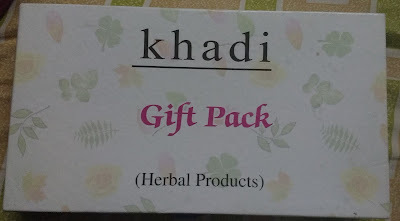 It was a pack of 4 bottles of Khadi herbal products and 3 herbal soaps. I have never used these kinds before and therefore i looked forward to using these. I decided to start with the moisturiser first. 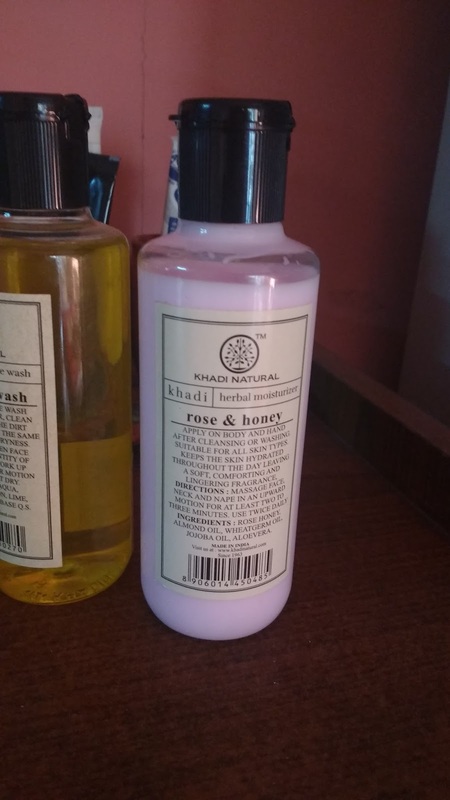 The rose and honey moisturiser had a very nice rose-water smell and it felt nice on the skin as well. It is a little oily but went deep into the skin. 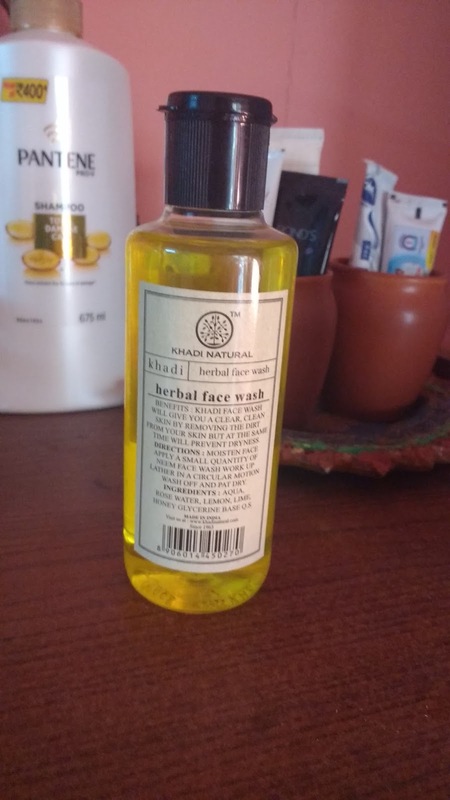 I used it at night before going to bed and when i got up, my skin was smooth. 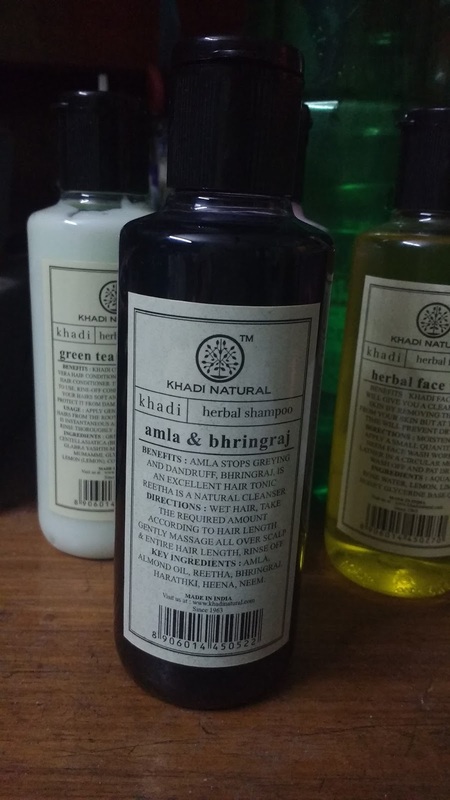 The amla and bhringraj shampoo had a distintive shikakai smell. But it felt very natural. 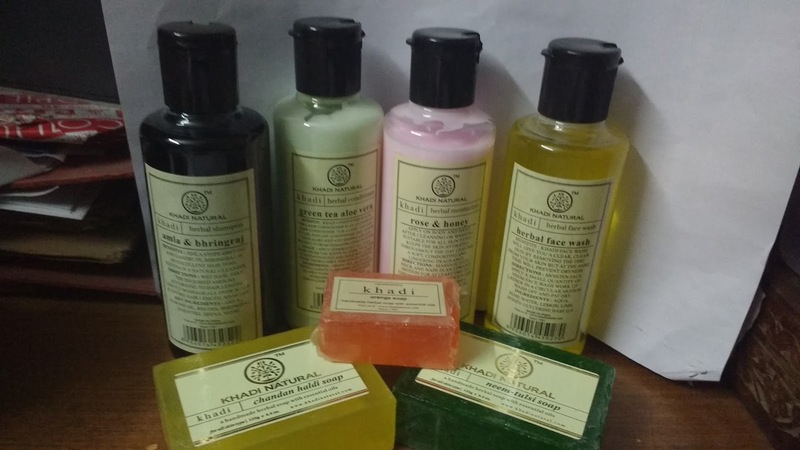 Black in colour, it also smelt like amla. 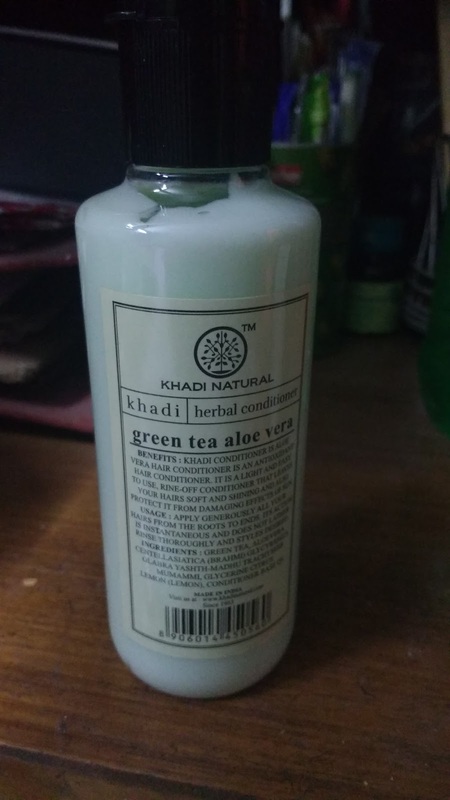 I just used it as per the instruction and decided not to use the conditioner so that i can feel the shampoo effect. There was enough lather and i rinsed it only once. The smell after the wash was also very pleasant and carried on till even the night. The hair felt a little sticky when wet, however, was good to feel when dry.